You might be shocked to learn that a Clorox product used to treat swimming pools came from fracking wastewater. The way it works is fracking wastewater gets trucked to Eureka Resources where it’s treated and turned into salt. From there, workers at the facility package the salt into Clorox bags and pallet them for shipment. While Eureka uses Clorox packaging, and trades in Clorox products, they never deal directly with Clorox. The bags are palleted for an unnamed third-party distributor to be sold to regional stores like Wal-Mart, Home Depot, and Lowes. Eureka Resources stands by their product safety, citing its own four-step patented treatment system that involves pretreatment, distillation, crystallization and dewasting. The company has operated since 2008 in Pennsylvania, currently with two treatment facilities: one in Williamsport and the Standing Stone Facility in Wysox who produces the pool salt. Eureka states the Standing Stone facility is “capable of producing clean distilled water, concentrated brine, dry sodium chloride (NaCl) salt and approximately 30% calcium chloride (CaCl)” out of water that contained carcinogens, trade-secret chemicals, heavy metals, and high levels of radioactive material. 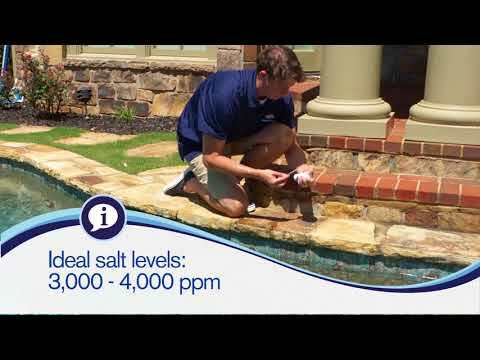 Starting in 2015, before it was possible for Eureka to use the salt byproduct for pools, they sold over 4,000 tons of feedstock to Cargill. The solids leftover after wastewater treatment, often referred to as sludge, are hauled to area landfills that can accept radioactive waste. Once the wastewater is treated the state no longer recognizes the remaining water as waste. It can then be discharged into a waterway with an NPDES permit from the EPA. According to Eureka’s 2018 records at Standing Stone, the company discharged 18,281,676 million gallons into the Susquehanna River watershed, for 36,044,422 treated gallons of wastewater. After treatment Eureka’s salt is still considered a residual waste by the Pennsylvania Department of Environmental Protection’s (PADEP) WMGR123 permit to operate a waste facility. In 2016, after a “torturous process” DEP granted Eureka special permission through that permit to package the salt for commercial use. Across Pennsylvania, DEP manages 71 WMGR123 permits on file as of spring 2018, with 34 of them active in some form. The radioactive material in fracking wastewater, such as radium-226, can be 1000 times or greater than what’s considered safe for drinking water. But discussion about fracking and radioactivity rarely makes the national press. A recent article in the Washington Post covering New Mexico’s idea to make fracking wastewater useable for agriculture failed to even mention its radioactive constituents. That concerns Dr. Daniel Bain, a research professor at University of Pittsburgh’s Department of Geology and Environmental Science who studies radioactivity. “I’d want to see some screening being done to know if Technically Enhanced Naturally Occurring Radioactive Material (TENORM) is being detected,” Bain told Public Herald. TENORM is used to describe enhanced radioactivity coming from fracking wastewater. It’s TENORM when naturally occurring radioactive material (NORM) is released and concentrated by human activity, as is the case for wastewater produced by hydraulically fracturing shale deposits for oil and gas. “I would assume the TENORM would be taken out of the salt,” Bain doesn’t expect the Clorox product to exceed radioactive limits. “But all it takes is a little glitch in the process and you can have a dirty salt at some point,” i.e. salt with TENORM. Bogdan says any “glitch” is closely monitored and fixed to prevent dirty salt from getting on the market. “When our salt is analyzed…our salt is indistinguishable from any other commercially saleable sources of salt,” Bogdan added. Pennsylvania is the second largest natural gas producing state in the United States, which is the largest producer of natural gas in the world. The “Smoking Gun” report series digs deep to expose specific stories of DEP conduct. Is your energy coming from the shale fields of Pennsylvania? Stay tuned – Subscribe to Public Herald’s reports. For more about fracking in Pennsylvania watch Public Herald’s feature documentary TRIPLE DIVIDE REDACTED. Eureka has permitted two additional facilities – one in Standing Stone Township and one off Reach Road in Williamsport, PA. Construction of both facilities has been initiated. Here is the Executive Summary in a very unfriendly format. • The current universe of 40 CFR Part 437 CWT facilities that EPA is aware of that accept oil and gas extraction wastes for discharge either directly to waters of the United States or indirectly via publicly-owned treatment works (POTWs). A lesser focus are facilities that accept oil and gas extraction wastes and discharge under a different effluent guideline (such as the Oil and Gas Extraction ELGs at 40 CFR Part 435) and facilities that accept oil and gas extraction wastes but do not discharge (i.e., facilities that treat for recycle or reuse). • The current regulatory status of these facilities, including the basis for National Pollutant Discharge Elimination System (NPDES) permits issued to these facilities, factors such as the wastewater parameters contained in these permits, and the types and quantities of wastes accepted for management. • Characteristics of wastewaters from oil and gas extraction activities that are currently or could potentially be managed by CWT facilities. • Technologies applicable to treatment of wastewaters from oil and gas extraction activities, including their cost and performance. • Economic and financial characteristics of the CWT industry and facilities that manage oil and gas extraction wastes. • Documented and potential human health and environmental impacts of discharges from CWT facilities managing oil and gas extraction wastewater. • Although EPA has identified many existing CWT facilities, little information is readily available to determine whether some of these facilities would be affected by changes to EPA’s existing regulations at Part 437. A primary data gap is knowledge about the types of wastewaters accepted, specifically whether wastewater from oil and gas extraction facilities are accepted, and the basis for NPDES permits issued to these facilities. • EPA identified 11 facilities that accept oil and gas extraction wastes as of 2017, discharge those wastes after treatment and are subject to the Part 437 ELGs (or information available to EPA indicates will be subject to Part 437 when permits are re-issued). These are the facilities considered to be “in-scope” for the purpose of this study. • Oil and gas extraction wastes can contain a variety of constituents, including biochemical oxygen demand (BOD), bromide, chloride, chemical oxygen demand (COD), specific conductivity, sulfate, total dissolved solids (TDS), total suspended solids (TSS), barium, potassium, sodium, strontium, benzene, ethylbenzene, toluene, xylenes, sulfide, gross alpha, gross beta, radium 226, and radium 228. • The pollutants present in and characteristics of oil and gas extraction wastes can vary greatly. Factors that can influence the pollutants contained in and the characteristics of these wastes include the source formation for the oil and gas, the type of drilling and whether stimulation methods are used, the types and quantities of additives used during drilling and well development, and the age of the well. • The range of pollutants present in these wastes typically require the use of a multi-step treatment train to meet discharge standards. • Of those facilities that are in-scope for this study, variation exists in types of treatment technologies employed. Some facilities employ multi-step treatment systems specifically designed to remove pollutants commonly found in oil and gas extraction wastes. Other facilities use treatment, such as chemical precipitation, that remove specific pollutants but provide little or no removal of the many other pollutants commonly found in these wastes. As a result, some facilities discharge much greater quantities of pollutants, such as total dissolved solids and chlorides, than others. injection wells) are considered. In addition, technologies (such as evaporation) are available that use waste heat from other industrial sources that, where co-located, can significantly reduce costs of treatment. • EPA approved analytical methods do not exist for many constituents found in oil and gas extraction wastes. In addition, some constituents (such as total dissolved solids) found in oil and gas extraction wastes can interfere with EPA approved analytical methods and significantly affect the ability to detect and quantify the level of some analytes. • The current ELGs at 40 CFR Part 437 do not contain limitations for many of the pollutants commonly found in oil and gas extraction wastes. Many of these pollutants are not included on the current list of priority pollutants. • The manner in which permitting and control authorities have permitted facilities that accept oil and gas extraction wastes for discharge varies. Some facilities are permitted under Part 437 while others are not. As a result, discharge limitations in permits are not consistent across the industry. A number of facilities operate under expired permits that do not contain limitations for many of the pollutants found in oil and gas extraction wastes; several facilities are in the process of permit renewals that may change the limitations contained in future permits. • A lack of clarity exists among the regulated community regarding applicability of the current CWT effluent guidelines to facilities that treat oil and gas extraction wastes. Some of this is centered on the interpretation of what constitutes “off-site” in the context of oil and gas operations and whether Part 437 or Part 435 effluent limitations should be applied to facilities treating oil and gas extraction wastes. While EPA has provided clarification of this for operations in the Marcellus Shale region, questions still arise. • The cyclical market for commodities, including the recent drop in oil and gas prices from 2014 through 2016, has affected the CWT industry that accepts oil and gas extraction wastes. Data available to EPA indicates that some facilities have reduced operations or ceased operating, in part because producers have also reduced operations or ceased operating, or sought cheaper wastewater management solutions. In addition, several new discharge permits have been issued for facilities that have yet to be constructed, in part because of the reduced demand for treating wastewater for discharge. It is not clear if or when these facilities may be constructed or begin operations. • The demand for CWT services is directly related to the amount of wastewater requiring management. If increased oil and gas exploration occurs in the future, an increase in the volume of wastes produced would also be expected. It is difficult to predict whether the demand for oil and gas CWT services will increase or decrease in the future, as that demand is directly tied to commodities that are subject to market fluctuations. In addition, competition exists from other management options, such as disposal wells. However, concerns regarding induced seismicity and reduced disposal well capacity may result in greater demand for CWT facilities treating these wastes. • Removal of barium and co-precipitation of radium may create a solid waste management issue at CWT facilities treating oil and gas extraction wastes. More efficient barium removal from the wastewater in the presence of sufficient radium may result in solid waste that exhibits radioactivity at levels that preclude disposal in most landfills. In addition, it is plausible that radioisotopes in wastewater treatment residuals disposed in landfills may subsequently be released to the environment through leachate. The level of radioactivity present in oil and gas extraction wastes is a function of source formation characteristics. • Management of brines and salts produced from technologies such as reverse osmosis, evaporators, and crystallizers may present a solid waste management issue. Disposal of these residuals in landfills has the potential to increase salinity of landfill leachate. Residuals that have marketable characteristics can be produced at CWT facilities. Producing saleable residuals or materials that can be beneficially reused may offset treatment costs. Other management options for these residuals include injection into disposal wells. • CWT effluents may have elevated levels of TDS, halides, metals, and technologically enhanced naturally occurring radioactive materials (TENORM) relative to the receiving streams into which they are discharged dependent upon the treatment technology utilized by the CWT. These elevated concentrations are detectable in samples collected downstream of CWT facility discharge points. The distance over which these elevated concentrations are detectable depends on site-specific factors such as source formation, CWT facility discharge volume, upstream concentrations of constituents, and river flow. • Documented and potential impacts to both aquatic life and human health related to discharges from CWT facilities treating oil and gas extraction wastewater exist due to the prevalence of some pollutants. Levels of pollutants downstream from CWT facility discharges have been reported to exceed applicable thresholds, such as primary and secondary drinking water standards and acute and chronic water quality criteria for protection of aquatic life. • In a number of cases, CWT effluents have been shown to adversely affect downstream aquatic life and, in one case, have been shown to affect survival of riffleshell mussels, a federally-listed endangered species (e.g., Patnode et al., 2015). • Multiple drinking water intakes are situated downstream of CWTs accepting oil and gas extraction wastewater within distances at which impacts to drinking water from CWTs have previously been identified. Drinking water treatment plants downstream of CWT facilities treating oil and gas extraction wastewater have noted a shift in the composition of DBPs from mostly chlorinated DBPs to mostly brominated DBPs (McTigue et al., 2014), which are more toxic than their chlorinated analogues. These shifts could affect human health from consumption of treated waters.